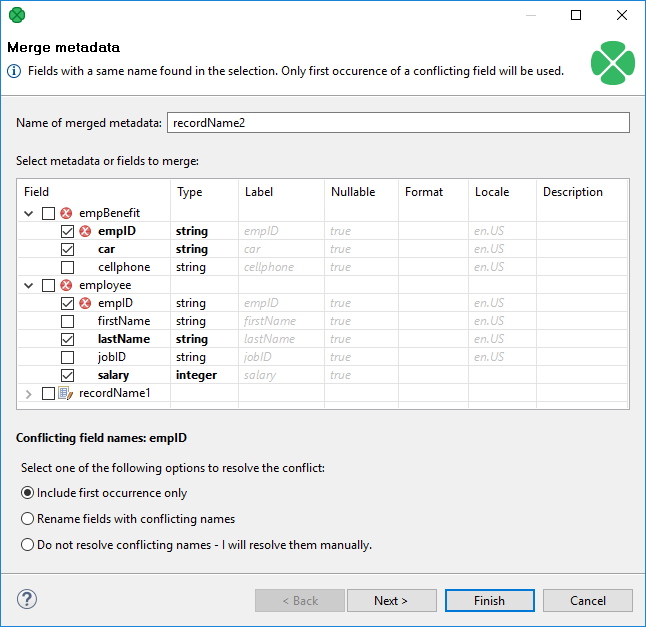 You can create new metadata by combining two or more existing metadata into one new metadata object. Fields and their settings are copied from the selected sources into the new metadata. manually, which is the second step of this wizard. In Outline, right-click two or more existing metadata. Right click an edge and click New metadata. Figure 32.28. Merging two metadata - conflicts can be resolved in one of the three ways (notice the radio buttons at the bottom). Click Next to review merged metadata or Finish to create it instantly.